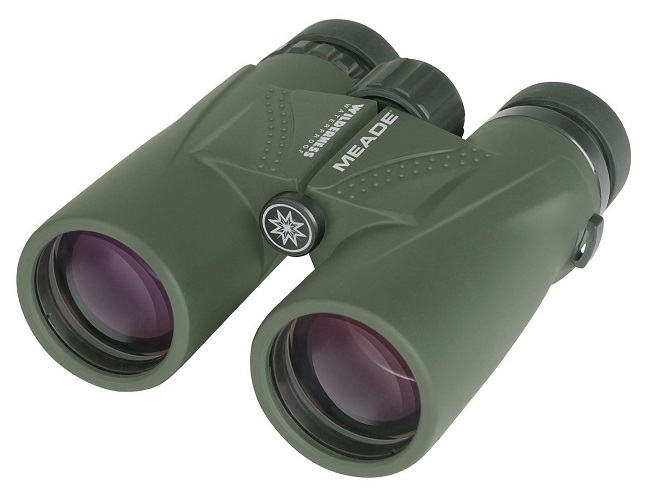 The Meade Wilderness 10x42 are rugged waterproof binoculars with multi-coated optics in a green housing. Fogproof, with BAK4 roof prisms with soft pouch, strap and lens cleaning cloth. Rubber armoured body for a sure grip. All Meade binoculars and spotting scopes have a limited lifetime warranty. The warranty period begins on the date of purchase of this product and is valid throughout the EU. The warranty does not cover damage caused by improper use, normal wear and tear, exposure to chemicals, force majeure, or modifications or repairs performed by yourself or third parties.